The Maritime Terminal in Puerto Vallarta is Mexico’s third most popular cruise ship destination. This large port attracts more than three million visitors each year. On cruise-ship arrival days, which are primarily Wednesdays and Thursday, the port bustles with activity, welcoming the majestic, glamorous vessels and their passengers as they pull in to dock. 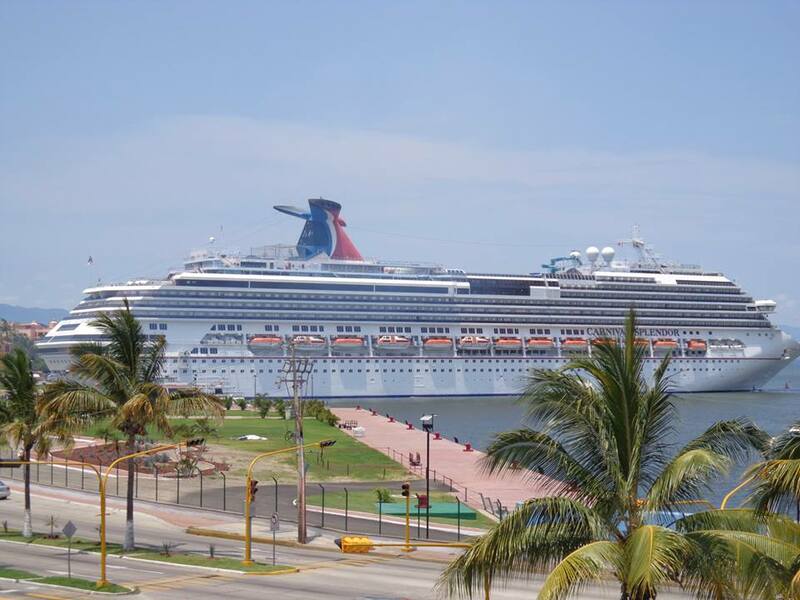 The port is also utilized by local tour operators that offer a visitors a variety of cruises around Banderas Bay. This photo was taken from the second-floor food court area in the Galerias Vallarta Shopping Mall.